Mansion house with a view of South China Sea and mountains. Tucked away in an area chosen by retirees & expatriates. Looking for a wider space for your growing family? Accessible? Non-flooding? This house is what you are looking for! 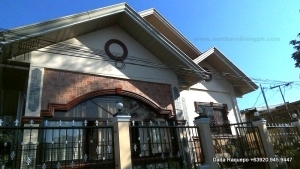 This pleasant 5BR home is located along wide cemented road, only 1 hour drive to the Summer Capital of the Philippines, Baguio City!